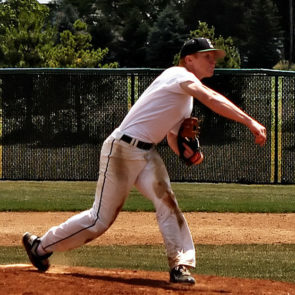 Synthetic turf, once thought to be the domain of professional and college sports programs, has now become a more common sight on high school athletic fields. And for good reason—synthetic turf is long-lasting, allows for excellent drainage, requires little maintenance and is better for the environment. Because of this, school districts with robust athletic programs made the switch from grass to synthetic turf years ago for their football fields. 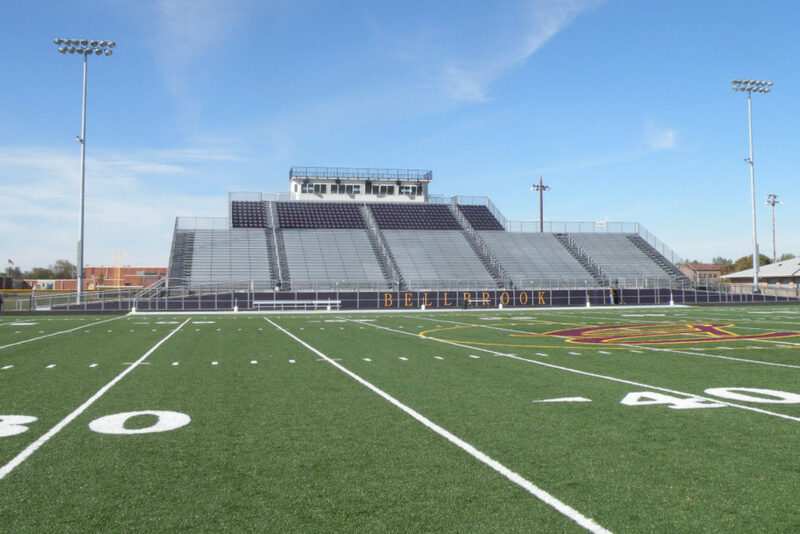 But with those original synthetic fields now starting to wear out after the typical lifespan, school districts are finding there are many more options and upgrades now available—and not just for football. Newer synthetic turfs are stronger and longer-lasting than old ones. With schools now sharing their football fields with other sports such as soccer and lacrosse, upgrading is an attractive option because the strength of synthetic turfs allows them to take the beating from the wear and tear of several different seasonal sports. This increased longevity is even making synthetic turf an option for school baseball fields. The approach is especially useful for urban schools that require compact, adjoining athletic fields with good drainage and little maintenance. In addition to its reliability, the newest synthetic turf upgrades have the added feature of being a consistent surface for athletes to train and play upon. A myriad of sports injuries have occurred when a player stepped in a hole or low spot, or tripped over a hidden irrigation apparatus. Improvements to synthetic turfs have increased safety for student athletes. New synthetic turf fields are evaluated by a number of safety measures, including what is known as Gmax ratings, which relates to how hard the ground is. You don’t want it to be too hard, but soft fields have their own risks. The Gmax value measures the shock-attenuation performance of the surface, and is also useful in assessing the overall playability of a field. Since many schools also have a running track around their athletic fields, it often makes good economic sense to upgrade both when installing new turf. This can include perimeter drainage of the track, curbing and resurfacing of the track surface. The new polyurethane track surfaces have a longer lifespan, better spring and they don’t become hard through ultraviolet degradation. 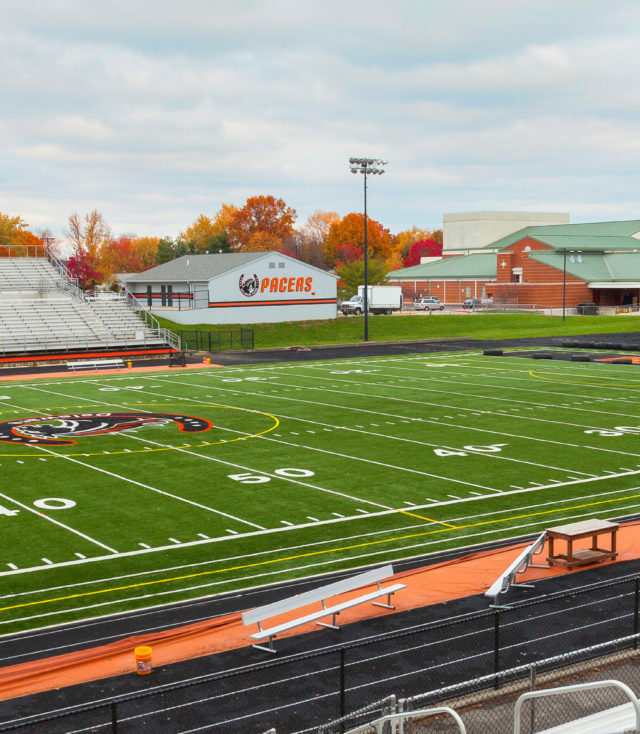 So whether you’re looking to add a new synthetic turf field for the first time, or upgrade from an old one, school districts now have more options than ever to choose from for a competitive, aesthetically pleasing and safe playing surface.